Third, having seen LIAT from the inside, I can tell you that Holder & Co are not the only thoroughly incompetent, irresponsible, unaccountable “employees” of LIAT… the airline is riddled with political appointees and incompetents of all stripes from all of the shareholder countries. Virtually NOBODY at LIAT is at risk of losing their job for screwing up, no matter what they do (within reason, of course). Front and centre, the unaccountable and reticent political appointee Maximum Chairman Holder has led LIAT through screw-up after hundred-million-dollar loss after “meltdown” after endless delays and cancellations (which are still going on, in case you were not aware) after calls for his resignation and/or removal, and for him it is all “business as usual”, nothing has changed and nothing will ever change. But he knows virtually nothing about aviation (despite his continual churning of “books” which nobody buys), so how would he know how to make the right decisions in the first place? Now the Marxist Comrade Ralph is AGAIN demanding that other islands start pouring some of their taxpayer cash down the LIAT dark hole too… and I agree with PM Dr. Kenny Anthony of St. Lucia when he replied – three years ago – that the current shareholders should “fix” LIAT before Lucians join the table. Nothing has been changed at LIAT, so he is still waiting. It seems to me that the Comrade’s shouts and demands have grown a bit louder and more desperate recently… as a result I suspect LIAT is on the edge of financial termination, and WHEN that happens, Bajans had better brace themselves for more expenses – remember, we own MORE THAN 50% of that flying political disaster, and TAXPAYERS will have to cough up whatever it takes to pay the bills, pay the severance, close off the aircraft leases, send back the new airplanes, and on and on and on. A few weeks ago I wrote an “Open Letter To The Majority Shareholders Of LIAT”, and circulated it to the shareholder PMs and a bunch of newspapers. In it I tried to set out a case for how LIAT should be handled. But I expect that – as usual – nobody is listening, and LIAT will most probably be gone in less than two years. James doesn’t call himself “pilot extraordinaire”, but I do. I’ve never seen anybody better with a Twin Otter. Short field, full flaps and a steep almost diving approach with power over obstacles – Jim could always hit the mark… flare and kiss it on right where he wanted to. Every time. Like a machine. Every single time. If we bring LIAT to Barbados it will be another QEH, it will be given half the money ” in this case FUEL ” needed to run it right. As bad as it is with Antigua Politics, we better leave it alone, or let a private Company take it over and get the Politics out of it. If we stop subsidizing the Sugar Industry and the Buses with 60 million each to run them, we can have a whole new fleet of planes. Sound like Robert and James Lynch work together? LIAT = FUBAR situation. How does one resolve one such? I have no idea who Robert is, but I thank him for his remark. Truth is, I flew as a professional and did my job, that is the only way I could see it. As a charter pilot I once refused a US$100 tip from Mick Jagger, telling him I am already paid to do the work. And yes, back then I was young and very naive! After 15 years of effort I am almost done trying to influence the politicians about LIAT. Nobody is listening, and in fact (in my opinion) it is getting worse – Antigua Minister of Aviation Robin Yearwood is now (very quietly appointed) a Board Member of LIAT, so maybe somebody can tell me who is in charge during a Board meeting – Maximum Minister Raucous Robin for Antigua, or Chairman Tourism Jean for Barbados? With all that is going on now, I am not even sure I want to come back to Barbados – but I do still have two funerals to attend, when they happen. I am trying to start a regional airline myself, but between the incompetence and bureaucracy Barbados is not even in the conversation, although it would be a destination. As I get older I have even less tolerance for BS (never had much use for it before, either). And just about all aviation in the Caribbean now is full of that smelly brown stuff – with Barbados at the head of the charge. The Barbados CAD has been a gross insult to the nation for almost four decades now, and every time the Director retires they jam in yet another elder Air Traffic Controller. I have no problem with Air Traffic Controllers (I used to be one myself), but by and large – with limited skills – they also lack the wider picture, creativity, knowledge and experience necessary for the CAD to move forward… instead of forever backwards. 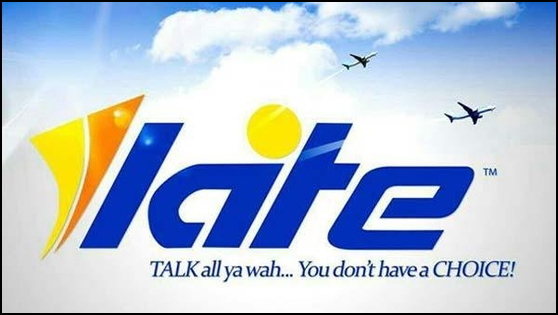 The latest move by LIAT to sell and lease-back two new ATRs will put some cash in the bank, but nothing else has changed, so all that has done is to buy some time. And nothing else is likely to change (see Robin Yearwood, above), so as far as I am concerned we can continue to look for LIAT to disappear within two years.